Well, the answer is simple. Marketing is delivering your profit center a message in a consumable format that your target market will eat. AKA Humanizing your message across channels where your target market consumes. In today’s information and tech age, it is crucial that you do not get stuck in archaic marketing methods. We are the forefront of current digital marketing. How do we differentiate ourselves? We take the time to understand your business. Understand all your profit centers. We study your current rankings and efforts. We study your competition. We study your target market research and shopping habits. We do all of this prior to charging you a penny. Once we have a full understanding of how we can create a digital strategy customized just for you. Most importantly we protect you from the money pit that digital marketing can become and we bring tangible CPL & CPA for all your digital efforts. 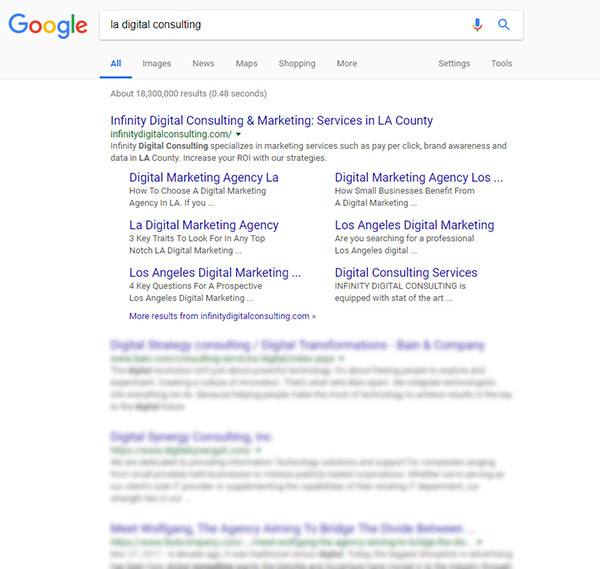 The vast majority will put money back to the bottom line using our services because of vendor overlap, bad PPC campaign among other variables that we will uncover. You will never wonder what you’re paying for again. We will devise a digital strategy that takes advantage of “what free” organic rankings and social media. We practice what we preach, Google us!! !